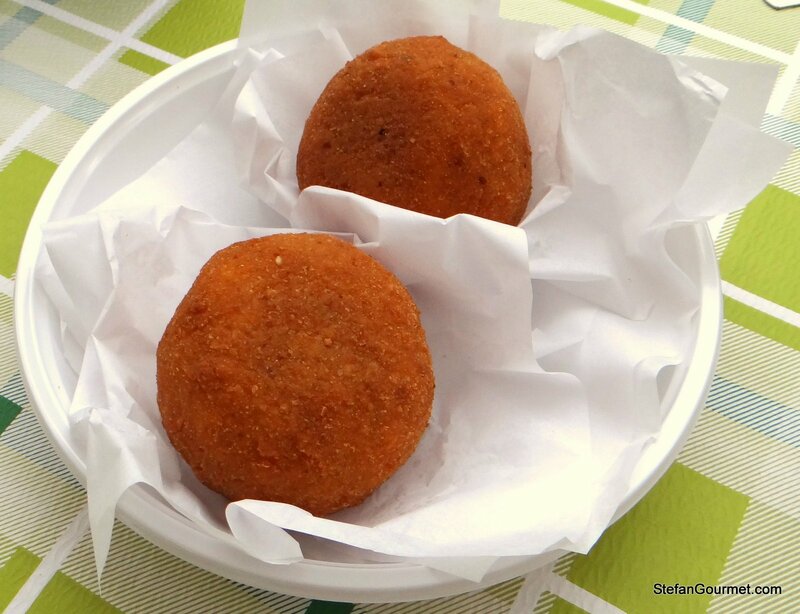 Without a doubt, the regional snacks of Sicily are arancine or arancini. 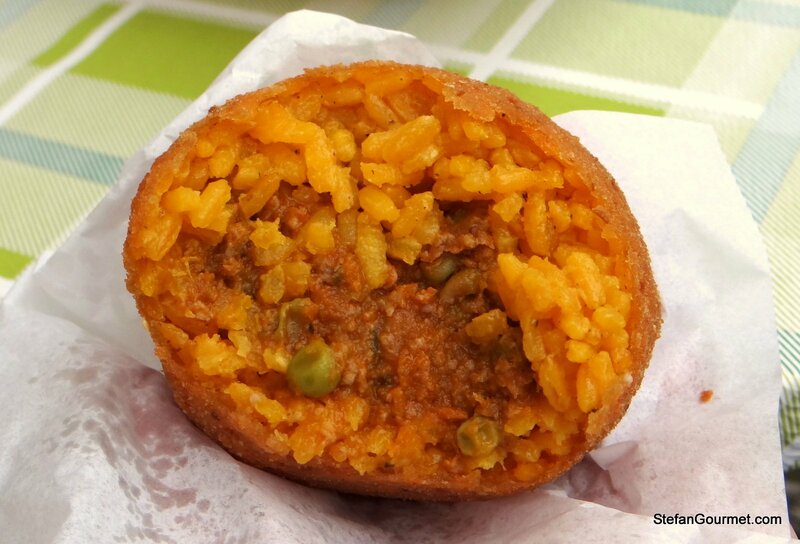 These are deep-fried balls of rice, stuffed most often with a ragù (meat sauce) and peas, but also with other stuffings such as cheese. Arancini are everywhere in Sicily, and we liked them so much that we had them for lunch almost every day during our trip. Arancini have been named after oranges (arancie), because they look so much like them. In the West of Sicily they have a round shape and are female (1 arancina, 2 arancine), whereas in the East of Sicily they are pear-shaped and are male (1 arancino, 2 arancini). This could mean that the eastern name is more ‘Sicilian’, because oranges are male in Sicilian (arànciu) contrary to female in Italian (arancia). I entitled this post arancine because I made round ones, but I like the sound of arancini better so that’s how I’ll call them.